Measures 9" x 7" x 3.5"
Life goes on, long after Halloween is gone! That's a tune sung by famous Halloween Town musician John Mellenvampire. It perfectly describes the love and feeling of Jack Skellington and Sally from the Tim Burton classic, The Nightmare Before Christmas! This officially licensed lunchbox also does a great job of showing off their timeless love! This Nightmare Before Christmas Jack & Sally lunchbox is a tote designed for fans of the classic Disney film. The exterior is made out of tin and it features metal clasp on the top to keep the box secured. 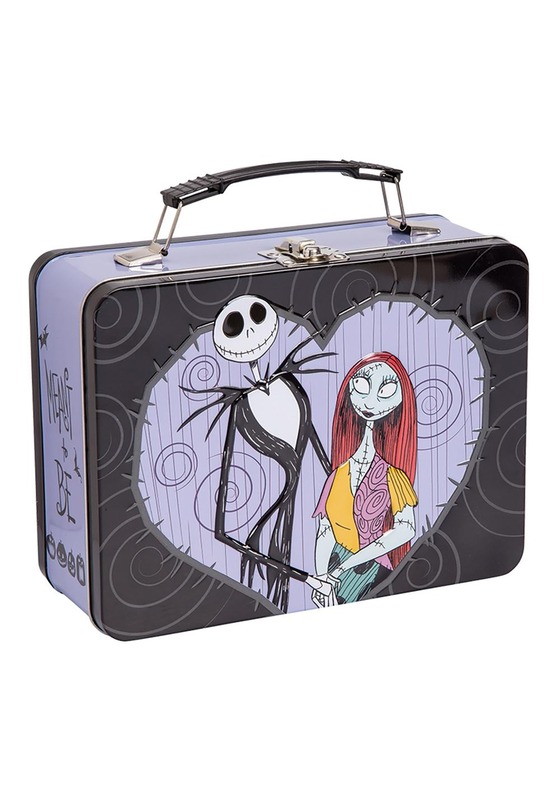 The front has a painted image of Jack and Sally holding hands on the front and the top has a collapsible handle grip. It's the only way to carrying your lunch with you! 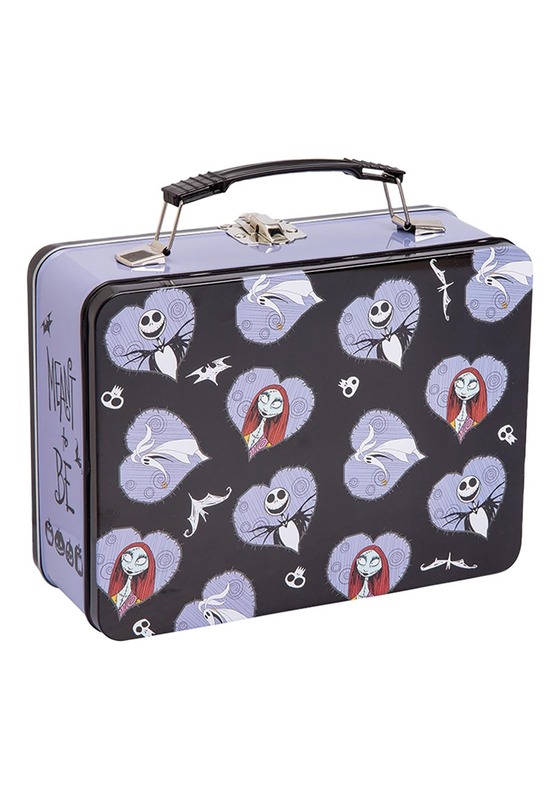 If you're looking for a cute tote to bring trick or treating with your Jack Skellington costume, then this Nightmare Before Christmas lunch box is an easy choice!